Update: In 2017 & 2018 we ran this Tour in reverse – i.e. starting in France and finishing in Spain. It was such a success that we’ve decided to run it this way again in 2019. Our view: Does what it says on the tin! Ride through the Picos Mountains of Northern Spain and the Pyrenees in France on mountain roads and fast sweepers, go up – and down – a lot! 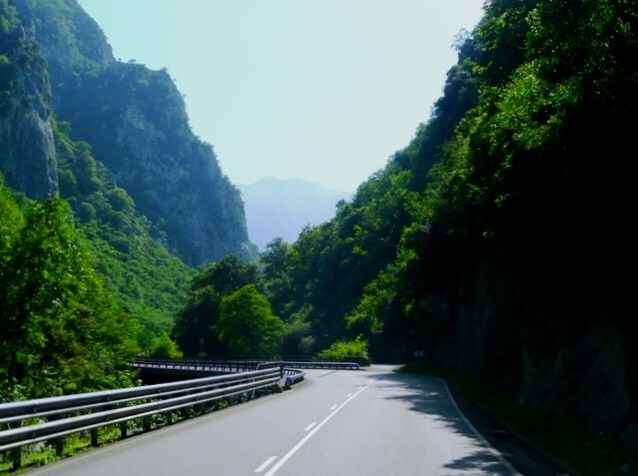 Great roads and fantastic scenery with two days off the bikes makes this a Tour for riders and pillions who are prepared to spend a bit longer in the saddle. This will be a fully escorted bike trip from the moment you arrive at the port of Ouistreham (Caen) and will be run at a moderate pace. 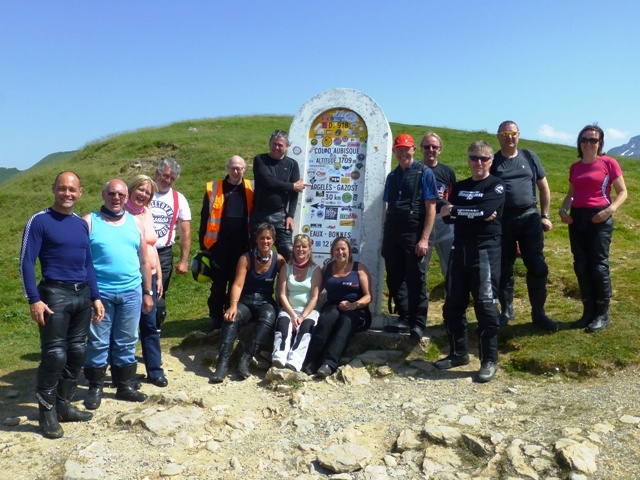 The routes have been extensively researched and as we use a tried & tested “drop-off” marker system with a tail-end rider there is no need for you to refer to road books or maps. Upon your arrival we have a pre-tour briefing before setting off on great roads (our home turf!) before arriving at our French country-collection hotel. Dinner this evening is included. 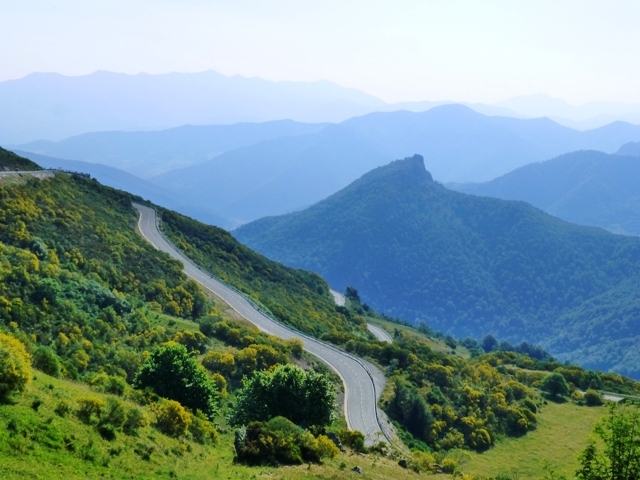 The next day we ride down to the Central Massif – the Volcanic region of France. This evening is at your leisure and there are numerous restaurants in the town. The next day we have lunch on top of the Puy Mary at nearly 6000ft. 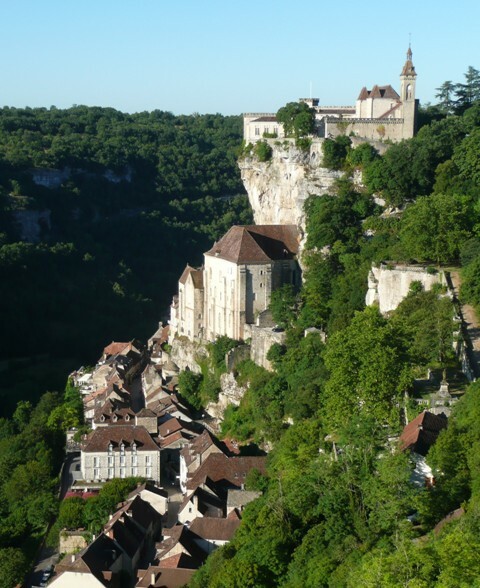 We then ride into the Dordogne region of France, to Rocamadour, the spectacular town built into a cliffside. We stay here this night and dinner is included. 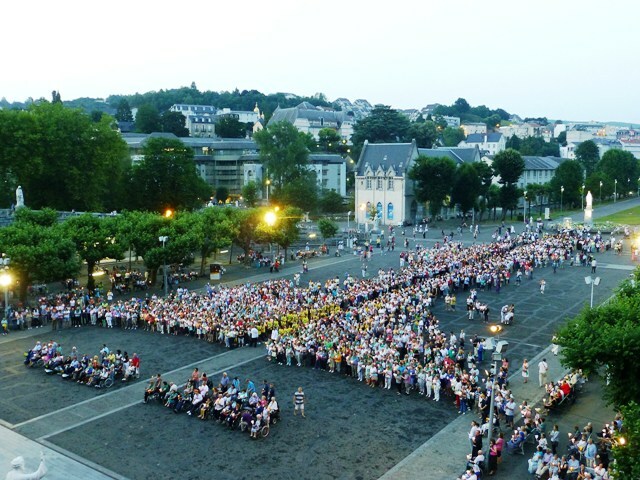 We then ride to Lourdes where we stay for two nights. This is the destination for over 5 million visitors each year, believing its’ sanctuaries to have healing properties. These two nights are also at your leisure. We offer an optional ride-out the next day to the Col de Tourmalet at 2115m one of the Col’s ridden on the Tour de France. Day six we ride over the Col D’Aubisque and have lunch still in the Pyrénées. We then ride some fabulous sweepers to Logrono, the capital of the Rioja wine region. The evening here is at your leisure and our hotel is ideally placed to enjoy the numerous tapas bars on hand. On day seven we ride into the Picos mountains with (possibly) a surprise before arriving at our final hotel for two nights. Dinner is included both nights here. The next day we offer a ride-out around the Picos mountains with lunch at one of the bustling market towns. The last day we continue to ride through the Picos mountains to the port of Santander for your return crossing to the UK – arriving in Portsmouth at 14.15 hrs on the Tuesday. As with all our Tours there is a maximum of fifteen bikes and all routes have been fully researched. As we always stop every hour & a half for coffee, lunch or fuel any pillions will not be too long in the saddle. We will stay in a mixture of good 2*, 3*, and 4* independent hotels. Your ferry crossing and meals / drinks other than as stated above are not included. We do not include your ferry crossing – enabling you to be flexible on your arrival/departure dates & times. 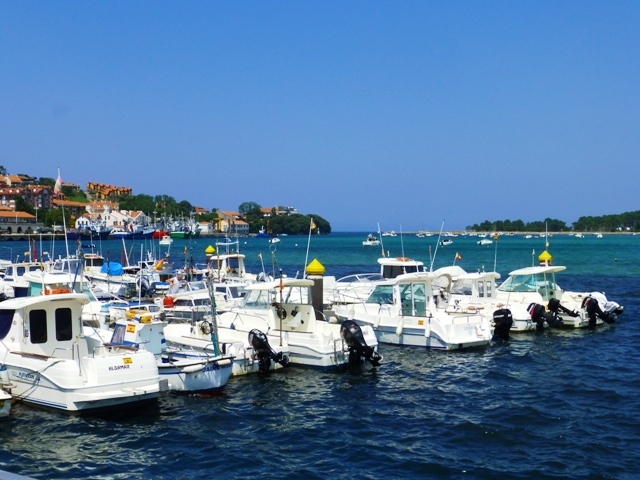 We can though offer up to 7.5% discount off the price of a crossing with Brittany Ferries – please contact us for a quote.